I've recently come back to my long-ago serious obsession with the movie Blue in the Face..have you ever seen it? it's a semi-improv documentary style film set in Brooklyn, sorta about this cigar shop run by Harvey Keitel? I am not decribing it well. it's so strange and weird funny. whoa, Madonna! Remember when her face looked like that? 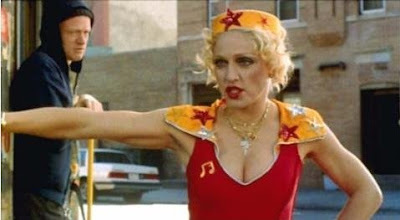 There are all these weird cameos (um, Madonna? Roseanne?) 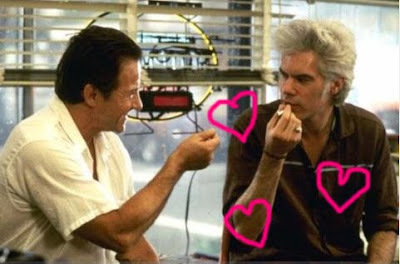 but Lou Reed and Jim Jarmusch (hearts hearts hearts) steal the movie. I decided I need to go out and rent this IMMEDIATELY (also need to buy Truth or Dare, HOW do i not own this already, i am a failure). There is a bizarre segment on belgian waffles? Take 1:38 seconds out of your day and get into this. I think this is how i feel about New York these days? haaa. Hahha. So true. And Sweden does scare me. I watched it yesterday!! it's one of my 3 dvd's.. haha I love it, the first time I saw it i fell deeply in love with brooklyn and it's inhabitants. one day I will live there too. yes! That clip is hilarious. 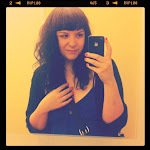 I miss NY. I loooove this movie! Especially the part with Lou Reed talking about Sweden and eye operations.